Filling out web-based forms is one of the more mundane parts of doing things online. There are forms for everything, too. There are contact forms, long and short forms for signing up for online accounts, and survey forms designed to gauge user interest. What if all those forms acted more like conversations rather than digital pieces of paper? Now it’s possible, thanks to our new WordPress plugin, Magic Conversation For Gravity Forms. Our plugin makes it possible to take a standard, common web-based form and turn it into a conversation between the user and the computer collecting the data. To help you visualize this, think of the standard ‘contact’ form. That form includes text boxes where you enter your name, e-mail address, and any other pertinent information the owner of the website needs to facilitate communication. You place your cursor in the first box and start typing away. If you were completing a conversational form, you would type in your name and then hit ‘Enter’ to send the information. The form would then respond with a second question pertaining to your occupation, your company, or whatever. You essentially fill out the contact form by answering a series of questions framed by the form robot asking the questions. Although conversational forms are still brand-new, it’s already being used by early adopters via our WordPress plugin. You can download a copy of our plugin on our site, or, by searching for it from within the WordPress Dashboard, or by downloading it from the WordPress Repository. You’ll need a copy of Gravity Forms to use Magic Conversation For Gravity Forms. You can obtain a copy of Gravity Forms here. 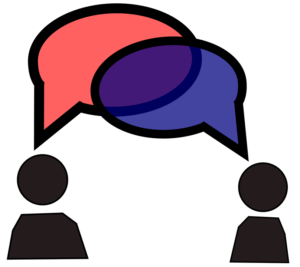 One of the most interesting aspects of conversational forms are that they add personality to online communications. Though they are not a chat bot in the truest sense, conversational forms does something similar. It asks a series of questions designed to collect the form information needed by the website owner, but it does three very interesting things to make the conversation less mechanical and more life-like. Third, Conversational Form can use previous answers provided by the user, as part of the form confirmation reply. For example, once the form robot knows the user’s name, that name can be inserted into the form confirmation reply for a bit more personality. We cannot say for sure whether the conversational form will be the future of web-based forms. But it would be great if it were. Turning web-based forms in conversations makes them more personal. It is the next step in erasing the line of delineation between man and machine; a line that will eventually be gone altogether. Who says web-based forms have to be mundane and boring? Our plugin is changing the way website owners collect user data with forms. It is changing the way users interact with those forms as well.